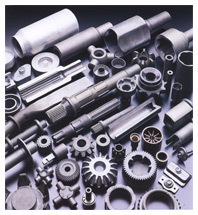 AIDA offers cold forming tooling and peripheral equipment as a turn-key package for world-wide customers. Also available from AIDA Forming Engineering Center is metalforming process development. AIDA offers the "Flow Control Forming" process that can replace machining, sintering, costing, and other processes.